Patricia (Baker) and Paul Pellatz will celebrate 60 years of marriage on July 26. Patricia (Baker) and Paul Pellatz will celebrate 60 years of marriage on July 26. 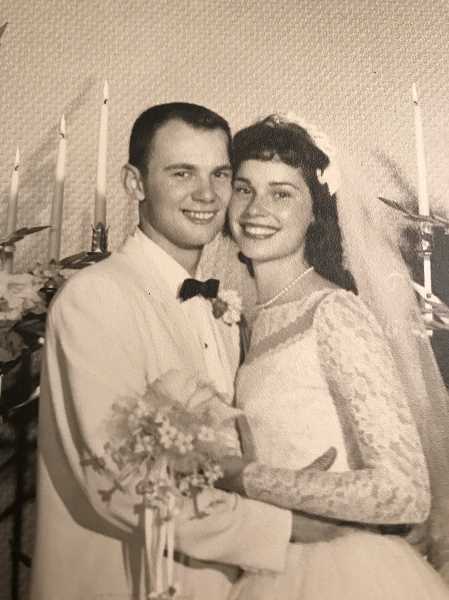 They were high school sweethearts graduating in 1958 and '57, respectively, and have spent their married years living in Canby and Wilsonville. They raised two sons, Jeff (of Tualatin), CHS Class of 1978, and Curtis (of Canby) CHS Class of 1983 and over the years, have enjoyed traveling, golfing, and being active with their four grandsons, Michael, Sean, Nicholas, and Nathan. An extended family gathering in Sunriver will be held to mark the occasion and honor the couple.